As Kuttanad goes to the polls along with the rest of Kerala on April 23, the electorate here is divided between those who vouch for a favourable report card of the government's efforts post-floods and those who are waiting to give a fitting answer for what they consider was a 'dismal' show. In Kuttanad, the nerve-centre of Kerala’s paddy cultivation battered heavily by the floods during last year’s monsoon, there are those like Jose and his wife Pennamma who are appreciative of the ruling LDF government’s post-flood rehabilitation works. 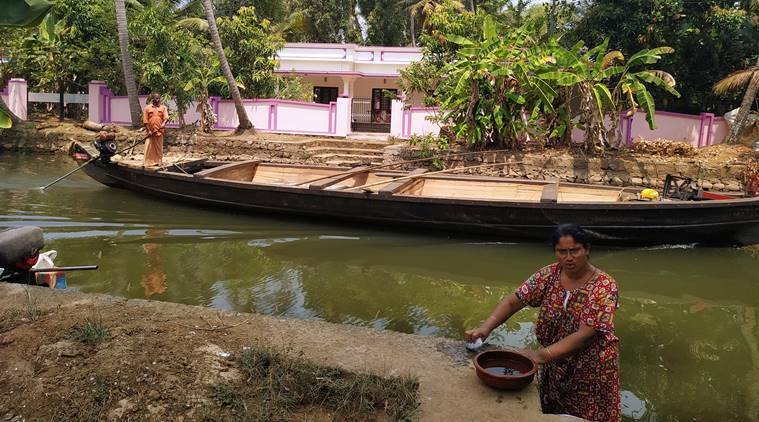 After their tile-roofed home, located on the banks of a canal in Pulinkunnu panchayat, broke down partially in the deluge, they received around Rs 60,000 as government compensation for repairs without getting stuck in bureaucratic loopholes. At the same time, in the same panchayat, there are those like Lakshmi who are still waiting for government aid to rebuild her home after it got completely washed away in the floods. She has put in an application and government surveyors have come and gone, but so far, she says she’s received no word on when the compensation, due to her, would come. At the moment, she’s living a harrowing life in a tent with an asbestos roof in the same compound along with her husband, who’s unwell. As Kuttanad goes to the polls along with the rest of Kerala on April 23, the electorate here is divided sharply between those who vouch for a favourable report card of the government’s efforts post-floods and those who are waiting to give a fitting answer for what they consider was a ‘dismal’ show. 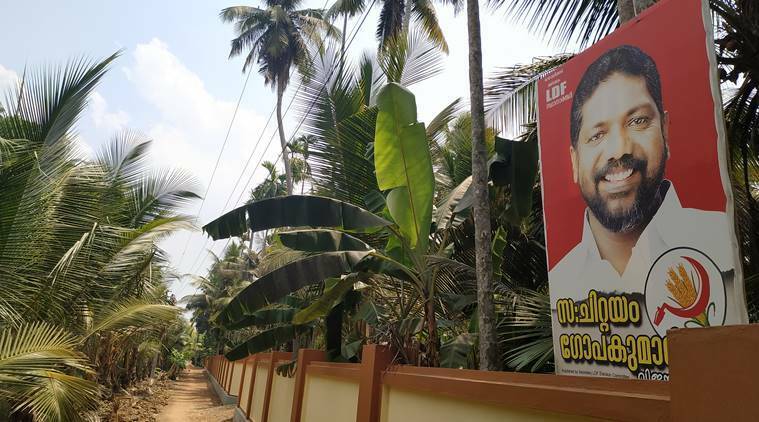 It is one of the seven Assembly segments of the Mavelikkara Lok Sabha constituency where sitting Congress MP Kodikkunnil Suresh is fighting to return to Parliament for a third consecutive time against his CPI rival, Chittayam Gopakumar. The NDA, hoping to reap dividends of the Sabarimala agitation and general voter anger against the ruling LDF, has fielded Thazhava Sahadevan, who belongs to BJP-ally BDJS. In July, much before the rest of Kerala got a hint of the incoming deluge, an atypical monsoon had begun to send warning signals across the villages of Kuttanad, a region located below the sea-level. 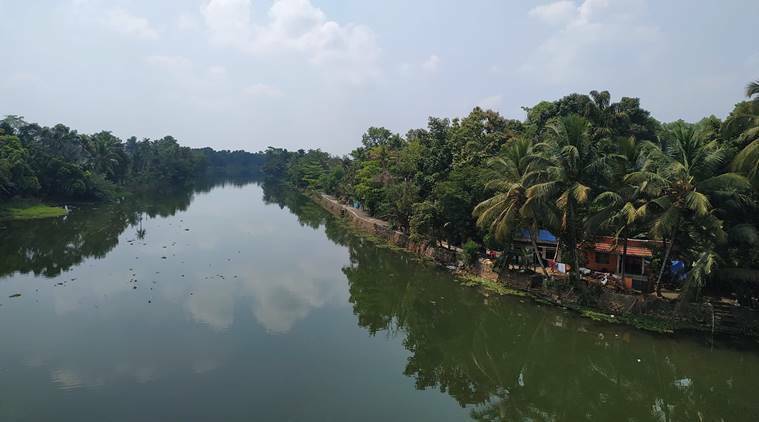 Spread across the districts of Kottayam and Alappuzha, Kuttanad is not just the ‘rice-bowl’ of the state, but also where some of its major rivers and streams empty into. Even a heavy downpour can easily sink parts of Kuttanad in a matter of hours and by now, it’s residents have made their peace with it. But the monsoon last year, where a departure of nearly 30% from normal rainfall between June 1 and August 15 was observed, forced nearly 1.5 lakh people to move to relief camps. Kuttanad remained under water for almost three months even as the rest of the state dried up. To this day, giant cracks on walls and dirty yellow marks have been left behind by floodwaters across households here. “There are very few households, that you can count on your fingers, that didn’t go under water,” an agricultural officer in Kainakary, one of the worst-affected panchayats, said. Post floods, the state government unveiled an ambitious rehabilitation plan that classified residents on the basis of the damage they suffered. While every family whose house was flooded would get Rs 10,000 for provisions and repairs, those whose homes were partially damaged would get Rs 2.5 lakh and the others, whose homes were completely shattered, would get Rs 4 lakh. “We will vote for the party leading the state government because they did everything for us. Within their ambit, they did whatever they could for us so it is time for us to thank them,” said Jose who indicated his vote for the Left candidate. In fact, in these parts, even as people agree that it was the government’s mistake of opening all the dams at once that unleashed the floods, they largely sympathise with the administration for it’s efforts post-floods. Almost everyone the IndianExpress.com spoke to acknowledged receiving the Rs 10,000 compensation set aside for flooded homes. Aside from government aid, they particularly highlight the help extended by volunteers and private firms who supplied essential clothes, food and medicines. Vijayamma, who stays in Pulinkunnu panchayat, noted many of her neighbours got clothes that would last them their lifetime. She slyly regretted going to the relief camp and missing out on the clothes as she had moved to a relative’s place during the floods. “But we got food kits. We got 25 kilograms of rice and 2 kilograms of pulses. Help virtually came in from all directions,” she said. At the same time, there are enough indications that the government aid has not been uniform. There have been complaints and appeals registered at local panchayats across Kuttanad about not receiving aid, especially in Dalit and Adivasi settlements. The issue is particularly serious in Kainakary panchayat, where residents spoke about families receiving aid even when they were not affected in the deluge. “The first lot of household surveys right during the floods were taken by students for the Rebuild Kerala app. In that surveys, many families got up to Rs 60,000 even when their damages were low because no proper checks were done,” said Vinod, an Independent ward member in Kainakary. “In Kainakary, there are almost 200 families whose houses were washed away. Some of them are still living in tents, others are living in rented houses in Alappuzha. They are all waiting for government aid, even after eight months,” he added. Add to that, the widespread displeasure among the public about the performance of the local MLA and former transport minister Thomas Chandy and to a lesser extent, Kodikkunnil Suresh, the local MP. 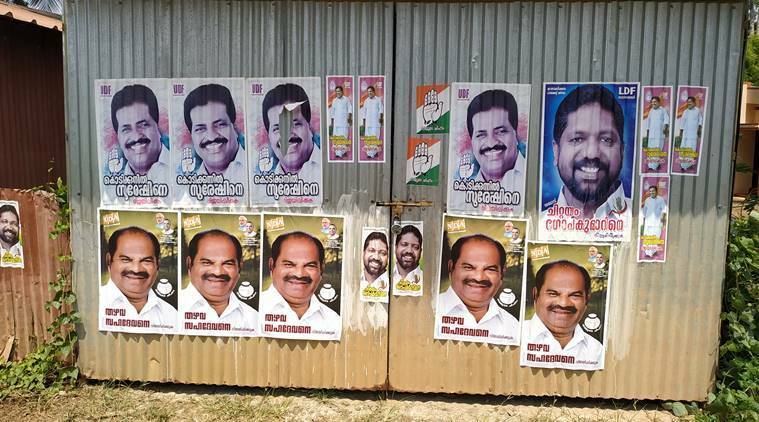 If Suresh triumphed over his CPI rival Chengara Surendran in 2014 by a healthy margin of 32,000 votes, it is believed that he faces a much tougher contest from his rival this time. In the 2016 Assembly elections, the Left swept six of the seven Assembly segments in Mavelikkara. Kainakary and a large section of the Kuttanad belt, home to farmers and daily-wage labourers, are also seen as sympathetic to the Left. Decades ago, polling booths here were considered to be highly-sensitive with frequent brawls and fights among political rivals. “There were areas in Kuttanad in those times that we feared to enter because of the dominance of the CPM. If we dared to campaign there, we would get beaten up. But those days are gone now. Today, it’s much peaceful,” said Uthaman, a local booth worker of the Congress party. If the Congress is banking on the flood anger among the people and the supposed boost the party anticipates with the candidature of Rahul Gandhi from Wayanad, the CPI and it’s allies attempt to wrest back a seat with the support of farmers and on the back of it’s rehabilitation efforts. There’s not a lot of scope for the NDA to win here, though it’s candidate will try to increase his vote-share. But one thing’s for certain. When the average voter here goes to the polling booth on April 23, the floods and it’s consequences will be at the back of her mind. The vote will finally go to the party that she believes helped her out during the toughest times she faced.